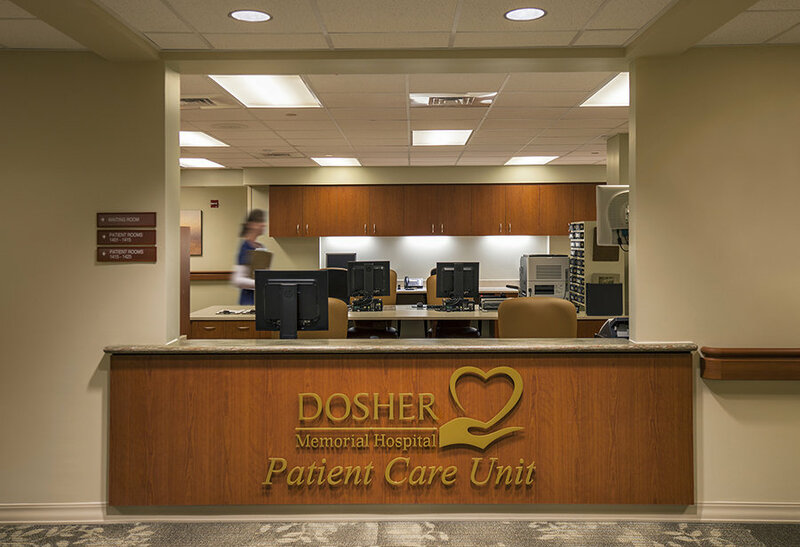 KSQ’s renovation and expansion at Dosher Memorial Hospital in Southport, North Carolina, transformed 25 existing inpatient beds from a combination of private and semi-private rooms into all private rooms. 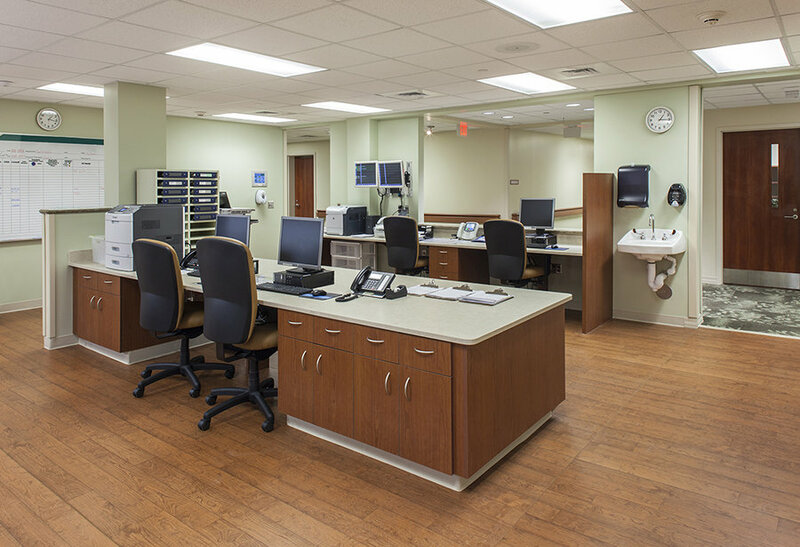 The new design is a complete overhaul of all existing rooms and seven new larger patient rooms. The design provides separate space for patients, staff and visitors. 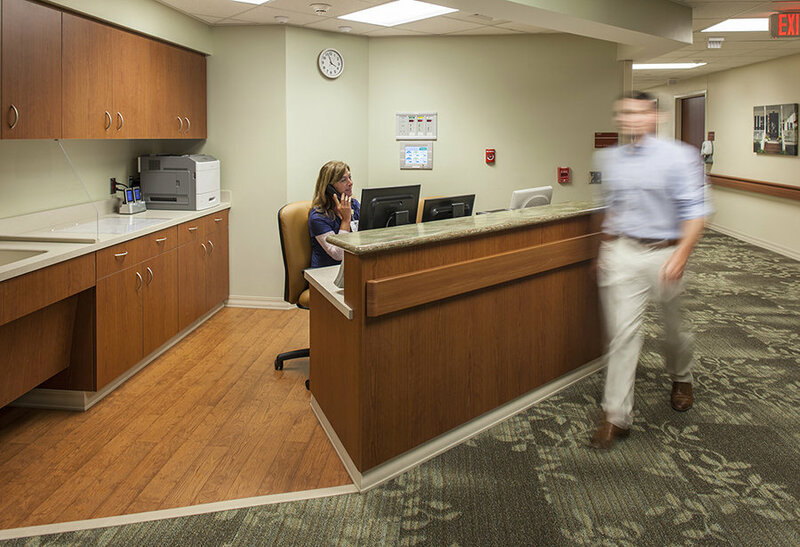 The larger, more centralized design improves future healthcare delivery methods and is centered around patient and staff efficiency. 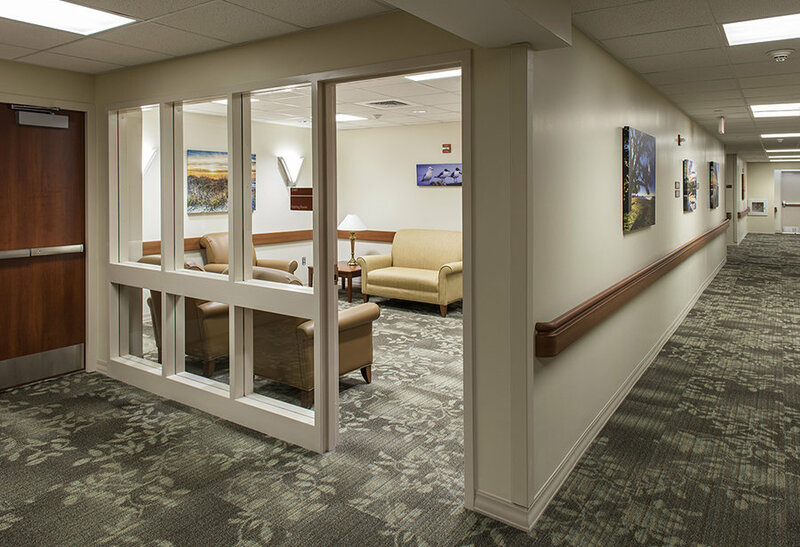 In addition to the new patient unit, KSQ created a new inpatient discharge area, a connecting corridor from Surgery that’s separate from the hospital’s public corridors, and upgraded the hospital’s Central Plant.